Do you need extra help for EL students? Try the Five Senses Mystery Bags pre-lesson. Support students to understand that the five senses are what we use to explore and interact with the world. They include touch, taste, smell, hearing, and sight. Tell students that the body parts that enable us to experience these senses are our skin, tongue, nose, ears, and eyes. 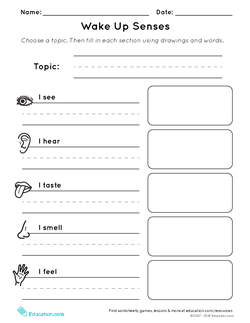 Beginning: Preview the lesson by reading aloud a short book about the five senses, such as My Five Senses by Aliki. Intermediate: Use visual aides such as pictures or physical objects to demonstrate how to describe something using the five senses. Tell students to turn to a neighbor to share their ideas. Beginning: Review the four seasons and check that all students have a shared understanding of what might be seen touched, tasted, heard, or smelled during the springtime. Intermediate: Have students turn and talk to a partner to share what they think should go in each section of the classroom poem. Intermediate: Provide a classroom word bank of sensory words for students to utilize as they write their poems. 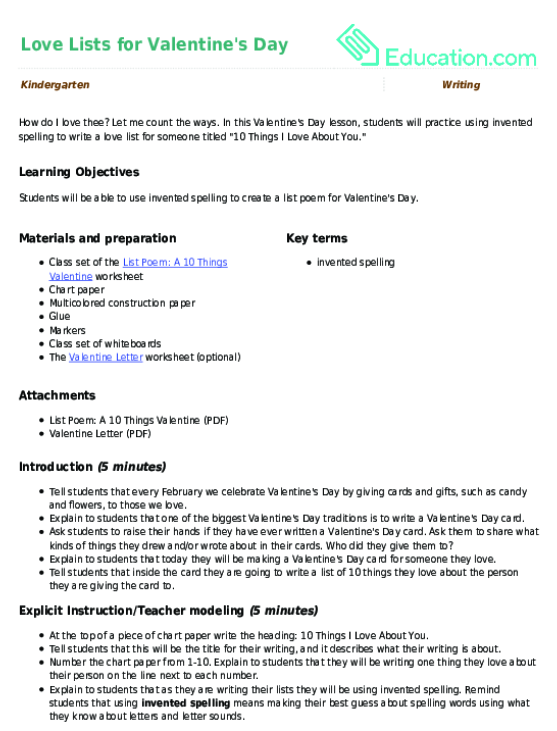 Provide students with lined paper or writing journals and have them write using complete sentences. For example, "I see ____ in the spring." 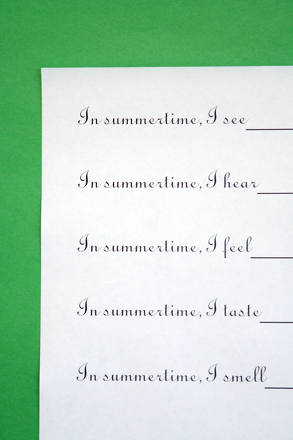 Tell students that they will practice using invented spelling to write items from each other's spring senses poems. 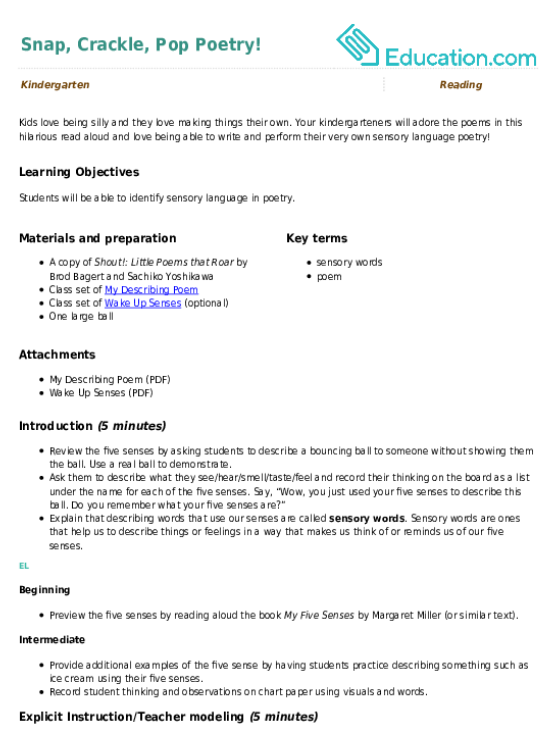 Provide alphabet charts for students to utilize as they practice their invented spelling. Intermediate: Have the class work together to stretch out the sounds in additional words prior to having students complete a word independently. Beginning: Have students share their poem with one other student in a turn and talk fashion. Intermediate: Provide a model for giving feedback. Post sentence starters for students to use when they are giving their peers feedback.